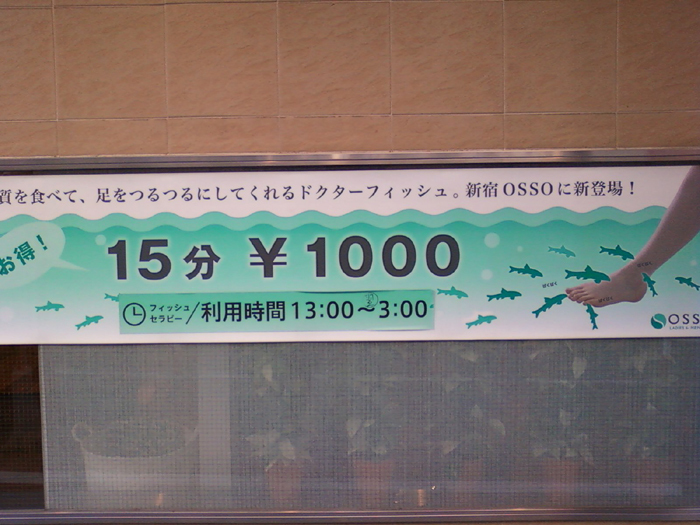 Spied this in Shin-kiba, aka lumber (timber) town last summer. The first time I have seen a vending machine aimed at the angler ! C’mon, let’s get a line in the water ! Categories Japan - Photographs, Only in Japan ! I’ve sat in these rooms so many times – and on a cold and windy winter’s day or night, they are your best friend ! 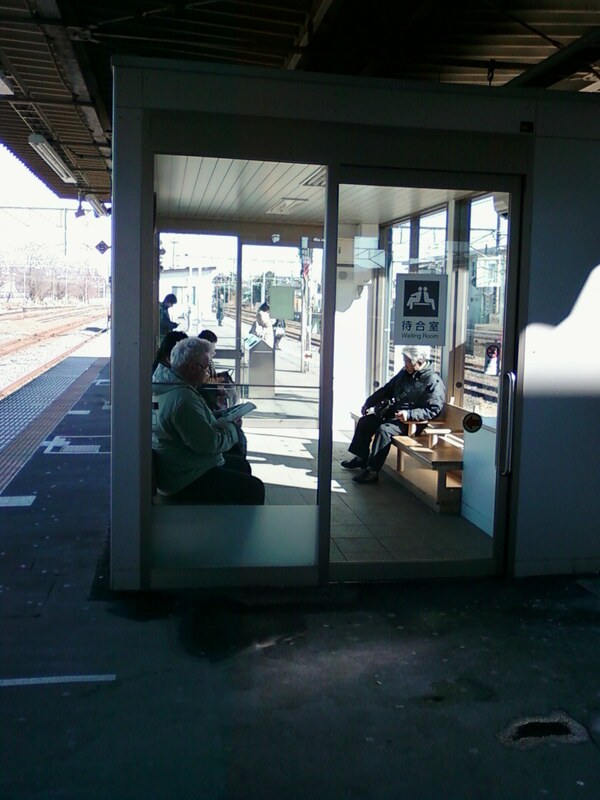 They are found at some of the larger JR train stations, usually on the platform. 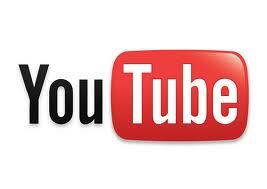 Clean, air tight, smoke-free and on a freezing, icy day in winter, the only place to be. When the sun shines through they heat up nicely and it’s a good place to nod off if your are sleepy ! 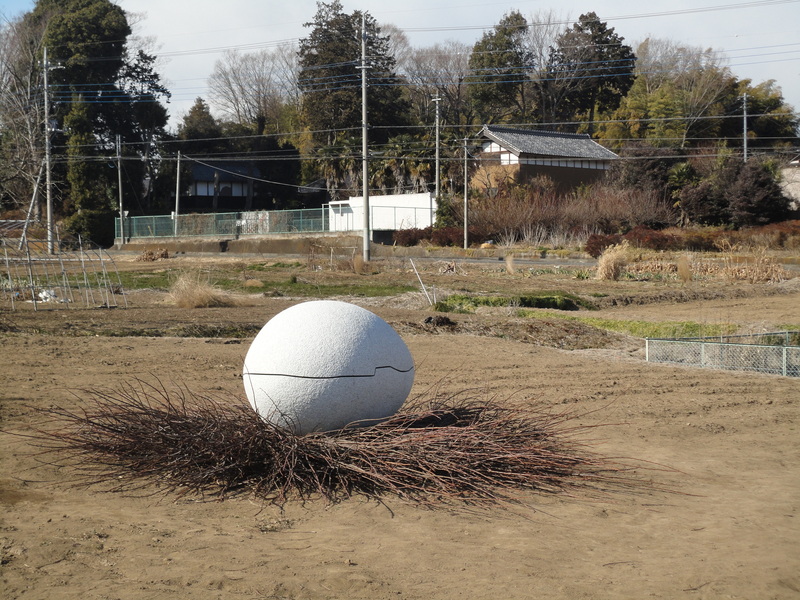 I spied this oddity whilst driving on the highway to Gunma. I am lucky this shot came out as well as it did. 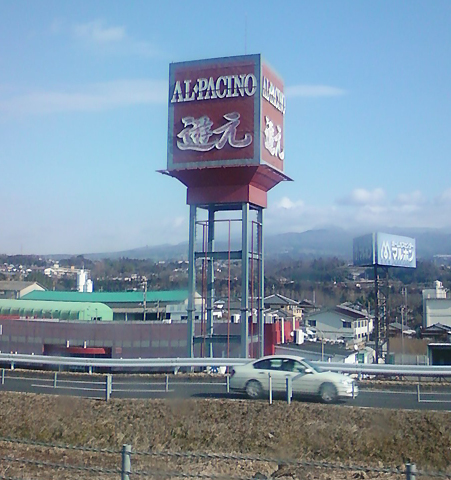 I wonder if the legendary actor knows there is pachinko/slot machine establishment in Japan – named in his honor ! Categories Only in Japan ! The ‘panda’ bus, is a free shuttle service which whizzes around the streets of busy Ueno (including a stop at the Ueno Zoo). Looks a little racoon-like, but I have been told otherwise. 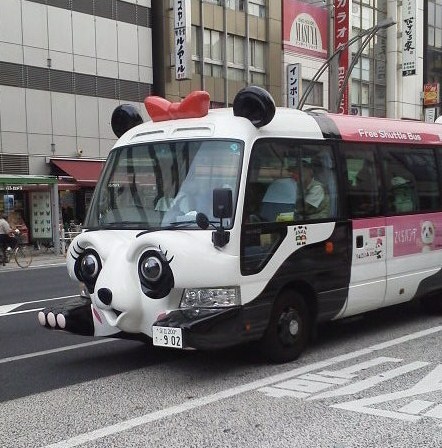 As with all things ‘cute’ in Japan, the girl panda bus, even has a pretty red hair ribbon on the roof and long eye lashes to boot ! 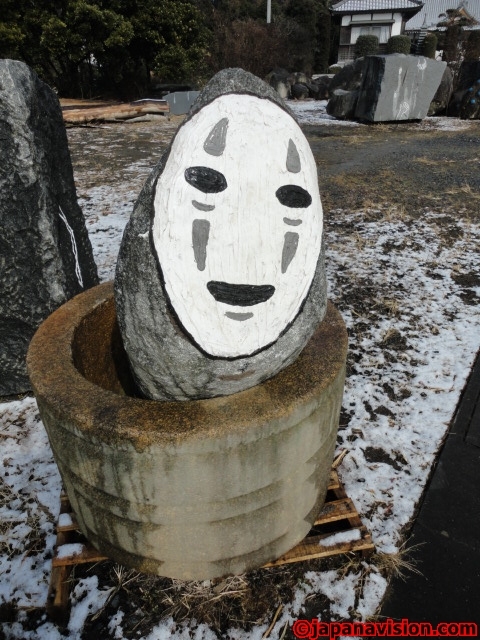 Kaonashi Character Spotted in Ibaraki ! Imagine my horror whilst driving along a dimly lit road one night last week, and caught in the headlights was…mr No Face, aka Kaonashi, the mysterious man from the Spirited Away film ! In broad daylight I decided to go check it out and lo and behold some clever kid has painted the image on a large rock. Cool huh !